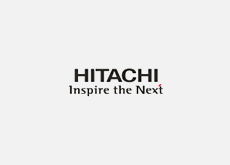 Hitachi, Ltd. (Liaison Office of Hitachi, Ltd.) | Network Directory : Hitachi in the U.S.A. Known globally for offering groundbreaking technology and unique solutions, Hitachi, Ltd. has its branches spread across diverse sectors. We are pioneers in the production of information and telecommunication systems, consumer products, power, automotive and electronic systems, and high functional materials. We also offer social infrastructure solutions, and, logistics and financial services. In its Social Innovation Business activities, Hitachi integrates cutting-edge IT and infrastructure technologies to address critical global issues and improve the quality of life for the global community.